NIDA’s Lifetime Science Award is given annually to researchers who have dedicated their careers to addiction science; whose lifetime work has led to new treatment and prevention strategies; and whose personal commitment and scientific endeavors have inspired others in the field. NIAAA and NIDA are pleased to offer the first jointly sponsored NIAAA-NIDA Lifetime Science Award to Dr. A. Thomas McLellan for his outstanding contribution to the field of alcohol and drug research. Dr. McLellan has been a career researcher for 35 years at the Treatment Research Institute (which he founded in 1992) and professor of psychiatry at the University of Pennsylvania. 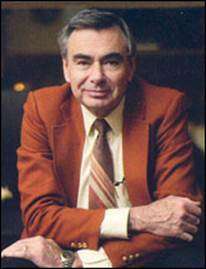 In the 1980s, with his colleagues from the Center for the Studies of Addiction at the University of Pennsylvania, Dr. McLellan introduced the Addiction Severity Index and, later, the Treatment Services Review. Both are among the most widely used assessment instruments in the world. In 1992, he co-founded and led the Treatment Research Institute to transform the way research is employed in the treatment of and policymaking around substance use and abuse. Dr. McLellan has published more than 450 articles and chapters on addiction research and has been a principal investigator (PI) or co-PI on 150 federal grants. From 2000 to 2009, he was editor-in-chief of the Journal of Substance Abuse Treatment, and he has also served on several other editorial boards of scientific journals. Most recently, he served as the senior scientific editor for the first-ever Surgeon General’s Report on Alcohol, Drugs, and Health, considered by both federal and nonfederal stakeholders to be a monumental milestone. In his career, Dr. McLellan has received several distinguished awards, including the Life Achievement Awards of the American and British Societies of Addiction Medicine (2001 and 2003), the Robert Wood Johnson Foundation Innovator Award (2005), and awards for Distinguished Contribution to Addiction Medicine from the Swedish (2002) and Italian (2002) Medical Associations. Dr. McLellan is the former deputy director of the White House Office of National Drug Control Policy (ONDCP), a congressionally confirmed presidential appointment to help shape the Nation’s public policy approach to illicit drug use. At ONDCP, Dr. McLellan worked on a broad range of drug issues, including formulation and implementation of the president’s National Drug Control Strategy and promotion of drug treatment through the broader revamping of the national health care system. Dr. McLellan received his B.A. from Colgate University and his M.S. and Ph.D. from Bryn Mawr College. He received postgraduate training in psychology at Oxford University. He has since worked for the Veterans Administration Medical Center in Philadelphia and the University of Pennsylvania. 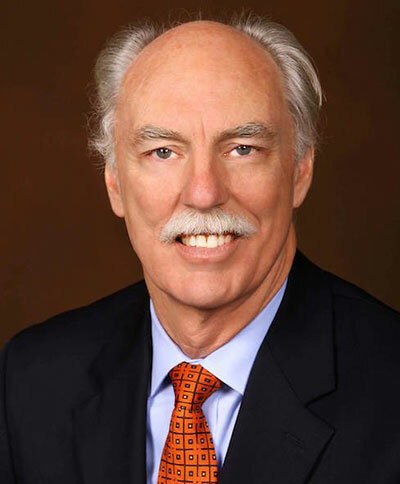 NIDA is pleased to offer its 2015 Lifetime Science Award to Dr. Charles O'Brien, one of the world’s most prominent addiction researchers and a NIDA grantee for many years. Over the past 30 years, Dr. O'Brien has made many important discoveries and contributions that have become the standard of care in addiction treatment across the globe. O’Brien was co-developer of the Addiction Severity Index, a tool now used worldwide to assess the extent of patients’ substance use disorders. He was also the first to test the use of the opioid antagonist naltrexone in the treatment of alcohol addiction, following his theory that alcohol reward was mediated by endorphins. Aside from developing medications to treat alcohol, opioid, and cocaine dependence, he has also done crucial research increasing the understanding of the clinical aspects of addiction and the neurobiology of relapse. Among his numerous honors, Dr. O'Brien was elected to the Institute of Medicine of the National Academy of Sciences in 1991 and received the Nathan B. Eddy award for research from the College on Problems of Drug Dependence in 2003. He has advised the United States government on drug policy for decades and has chaired or served as a member of many Institute of Medicine committees dealing with science and drug abuse policy matters. He was the President of the American College of Neuropsychopharmacology and the Association for Research in Nervous and Mental Disease. Dr. O'Brien is the Vice-Chair of Psychiatry at Penn, and the Director of the prestigious Center for Studies in Addiction. He is board-certified in psychiatry, neurology and addiction psychiatry and leads the Charles O’Brien Center for Addiction Treatment at the Perelman School of Medicine at the University of Pennsylvania. Dr. O’Brien received his MD and PhD degrees from Tulane University and received residency training in psychiatry, neurology, and medicine at Harvard, the University of London, Tulane and the University of Pennsylvania. NIDA is pleased to offer its 2014 Lifetime Science Award to Dr. Mary Jeanne Kreek for her world-renowned contribution to the advancement of addiction science. A longtime NIH/NIDA grantee, Dr. Kreek was part of the team that performed the initial studies of the use of methadone in chronic management of heroin addiction. In collaboration with the CDC, she was the first to identify parenteral drug users as the second risk group for acquiring HIV-1/AIDS infection. Dr. Kreek documented the role of the endogenous opioid system in cocaine, alcohol and heroin addiction, including the role of mu opioid receptor-endorphin peptides in the “rewarding” effects and the countermodulatory effects of kappa opioid receptor-dynorphins. Her group also identified multiple novel polymorphisms in the coding and non-coding regions of human mu and kappa opioid receptor genes and shown associations of these genes, as well as those for dynorphin and enkephalin, with opioid, cocaine, and alcohol addiction. Her lab has also discovered over 20 addictive gene variants associated with opioid addiction and is currently studying functional specific gene variants and selected epigenetics questions in humans and rodents. In the lab, Kreek also studies the effects of several kappa gene regulatory agents including agonists, partial agonists, and antagonists and is working on new pharmacological agents. Dr. Kreek has authored or co-authored more than 350 peer-reviewed research papers and over 150 invited concept reviews and reports. She has received several awards for her scientific research, including the Betty Ford Award from AMERSA (1996), and the R. Brinkley Smithers Distinguished Scientist Award and Lecture of ASAM in 1999. She is a graduate of Wellesley College and also of the Columbia University College of Physicians & Surgeons, where she received her medical degree. 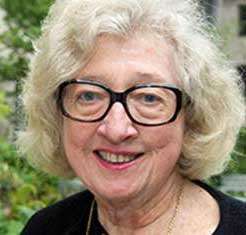 She is Patrick E. and Beatrice M. Haggerty Professor and Head of the Laboratory of the Biology of Addictive Diseases at The Rockefeller University, and Senior Physician of The Rockefeller University Hospital.